This was a weekend of Christmas/fixing niggling problems on my systems. Migrate to NextCloud from Owncloud. Easy – thanks to documentation and a blog post. Fix accessibility problems with the calendar plugin in nextcloud. This was primarly caused by my ignorance – when adding calendars in, say, Thunderbird you need to be very specific on the URL – nextcloud does not make it clear what the url is for specific calendar unless you go looking for it. Simply adding the primary address (https://www.warbel.net/owncloud/remote.php/dav/) will not work. Fix the zabbix server, as it wasn’t starting with the system. Checking the service status show the issue here. It wasn’t set to start automatically. Fixed with sudo systemctl enable zabbix-server.service. As far as getting landscape up and running – this seems a little problematic. After spinning up an VM and using the documentation I can’t seem to add machines to the landscape server. This is because it uses self-signed ssl certificates. The solution is easy enough – provide the letsencrypt certificates. However because it sits behind a reverse proxy the website will need configured to not use SSL but as far as I can tell so far, the landscape service itself needs the ssl certificate. This can be fixed by using rsync and cron to move the necessary files, but it’s going to be a pain. We’ll see. Recently, the proliferation of servers (both real and virtual) has meant that a good hour or so of my weekend must be spent patching. I would rather not have to do that and will be looking to move to Landscape to do that for me. Stay tuned. I’ve become increasingly aware of ‘free’ services like Slack (but facebook and Google also fit into this category). While they do offer free convenient services, the true cost is to your privacy and security. Having some technical knowledge means that I can have the convenience and features of their platforms without having to sacrifice any of the above – it’s the best of both worlds! My notes below will only cover some of the more difficult aspects of configuring apache and how I circumvented let’s encrypt’s process of creating and accessing hidden directories. The Mattermost documentation is your friend too; their setup guides were accurate and effective. To anyone reading this: I strongly suggest setting up a test server first before attempting to create a production system from scratch. As stated above, documentation is your friend. I set up the system on a test VM and was able to get it running with minimal fuss. I created a mysql user and database for the installation on my production web server using phpmyadmin and from there, the rest of the configuration was from within Mattermost itself. Mattermost encourage you to use Nginx and PostgreSQL. To configure MySQL in Mattermost, no changes to the SQLSetting are needed except the DataSource directive which you will need to modify to suit your username/password/database that you setup. This is really a two stage process. The first stage is to setup a sub-domain using your DNS provider. I use NoIP, as I can use their client to update my dynamic IP address if and when my internet connection drops out. Let’s encrypt recognized that I needed to add the new domain mattermost to my list of sites and updated the certificate accordingly. 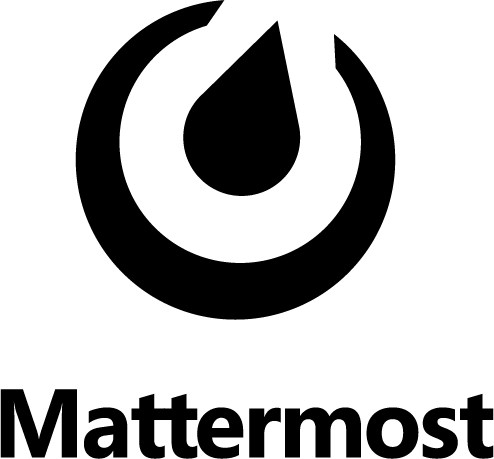 Originally I had intended to setup Mattermost as a subdirectory on my primary domain which was in keeping with my previous projects. Unfortunately that seemed impossible. In the end it was easier to setup a sub-domain and then configure apache with a new site. I had to do some serious googling to find a semi-working config. Mattermost uses web-sockets and application program interfaces (APIs) which do not play well with reverse proxies out of the box. Furthermore, as Let’s Encrypt had already reconfigured components of Apache, I had to modify what I found to match with my pre-existing sites. The main difference being that the ssl virtualhost needed to be contained within the ssl module configuration. I’ll also point out that there was a typo in the last proxypassreverse directive- the url was missing the https that stopped the websites from pushing new chat messages automagically to clients connected to the server. and reload or restart the server – you should have a working Mattermost server. It seems that after a period of time the webcams attached to my raspberry pi fail after about 2 days of usage. While I haven’t had the time to delve into the reasons why, a fix or workaround is to have the device restart every day at 5am. This will restart the device every day at 5am. It should keep working until I have the time to look through the system logs and find what the problem is. I suspect it may be power related, or just bad coding somewhere?